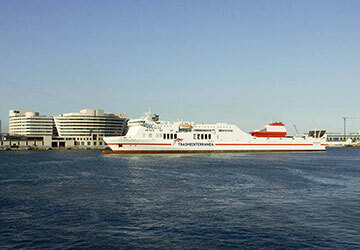 Incorporated into the Trasmediterranea fleet in 2011 to boost the traffic between mainland Spain and the Balearic Islands, the Tenacia ferry is one of the most modern ferries operating in the Mediterranean. The Vessel allows up to 869 passengers a time to enjoy a pleasant and comfortable crossing, with more than enough facilities to keep all entertained throughout. It can also carry 195 vehicles on each crossing and reaches speeds of 24 knots. This 200 metre long ship has plenty of facilities to help while away the hours, from sun loungers out on deck, to relaxing bar and restaurant areas. 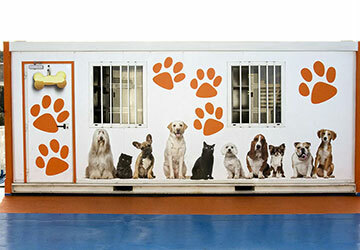 A range of comfortable cabins are on offer and there is even a kennel section on board if you’re travelling with pets. 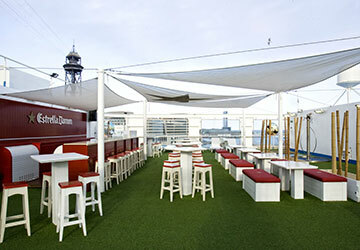 Tenacia has a variety of cabins on offer, with accommodation to suit whoever maybe travelling. It ranges from four berth cabins for passengers travelling in larger groups to single cabins for those making the trip alone. For those who prefer not to book a cabin there are plenty of reclining seats available around the ship. There are a number of options for your culinary needs on the Tenacia. The bar restaurant offers everything from light cold snacks to hot main meals. For even more choice on main meals there is another Dining Room and the Strike Bar allows you to relax with a drink in comfortable surroundings. Duty free shopping is available for all passengers so you can take advantage of lower than high street prices. With jewellery and perfumes on offer, it’s the perfect place to treat yourself or buy holiday gifts. A large choice of magazines, books, puzzles and confectionery are on offer too. You can chill with stunning Mediterranean views and bask in the sunshine on the sun decking area or while away the hours having a drink in the outdoor seating. If you are travelling with pets, there is also an outdoor kennel where they can stay and be looked after, whilst you enjoy the fantastic services on board. Please Note: Whilst we have taken great care in making our Tenacia guide as accurate as possible, onboard facilities, services and entertainment may vary depending on the date and time of year that you travel, facilities mentioned may change without notification and ferry companies reserve the right to operate vessels other than those mentioned at time of booking without prior notification. The crossing was punctual, the staff were friendly, the food was good and our cabin was clean. What more could I ask for? My only complaint (which is obviously nothing to do with the ferry company) is the total lack of signposts to the ferry terminal once your within about a mile of its location. This is a problem both in Palma and Barcelona - where it almost caused us to miss the boat. "Travel Bulgaria - Barcelona - Palma"
I am satisfied with the service provided. There were no delays. Staff is responsive and friendly. "Really simple and easy process"
Booked the ferry to Palma from Barcelona and used TransMediterranean ferries, very easy to book and then all you have to do is arrive and jump aboard! The ship was very nice (that's considering I slept in the canteen). No problems at all, would definitely recommend. The ship was punctual with lots of sitting places, and the trip was enjoyable... Get something to keep you busy specially if travelling alone.